Finally, the much awaited Gutenberg is here! Wait, we’re not talking about the German guy from the 1400s here. Gutenberg is a complete re-imagination and redesign of the WordPress editor that has come up with WordPress 5.0 (Bebo). Yes, Bebo and Gutenberg here are WordPress releases. Still curious? Continue to read more. Every time a new WordPress version rolls out, we get all excited to play and experiment with its new features. Though such changes are sometimes difficult to accept especially for such famous platforms, at times it is necessary to maintain its popularity and usefulness. Therefore in this blog, we’re going to discuss on “What makes WordPress 5.0 unique in comparison to previous releases”, and then we’ll also get into the possible expectation we can have this year with WordPress 5.0 and the Gutenberg editor. What has WordPress 5.0 (Bebo) new with it? WordPress 5.0 brings Gutenberg with it and along with it, there comes a totally new editing experience for WordPress with upgraded functionality, enhanced content creation, and also a page-builder style to the editor. Along with the enhanced functionality, it is expected to bring with a host of challenges, most of them related to the plugins that affect the editing experience. This new WordPress Editor aims at making easier the use of shortcodes and HTML to make things work, especially for the ones who are just starting with WordPress. As the old WordPress Editor has a one big text field, but the Gutenberg breaks this down into small blocks. Before this, there was complex functionality in which confusing shortcodes are used everywhere. This sometimes causes issues with the upgrades and with the plugins when they were disabled, leaving sites in semi-broken states. Also, this new version is very extendable with hundreds of plugins already available offering additional functionality. This theme is based on a basic approach that is beneficial for writers and can also be adaptive for simple business sites as well. Unlike the earlier version, the Twenty Nineteen theme does not have a sidebar but do have an area in the footer to display widgets. The advantage is that the theme is fully compatible with Gutenberg. As it contains front-end and back-end editor styles, this aids in closely resembling that “How the finished product will look like” once the presentation of the content in the back-end is done. 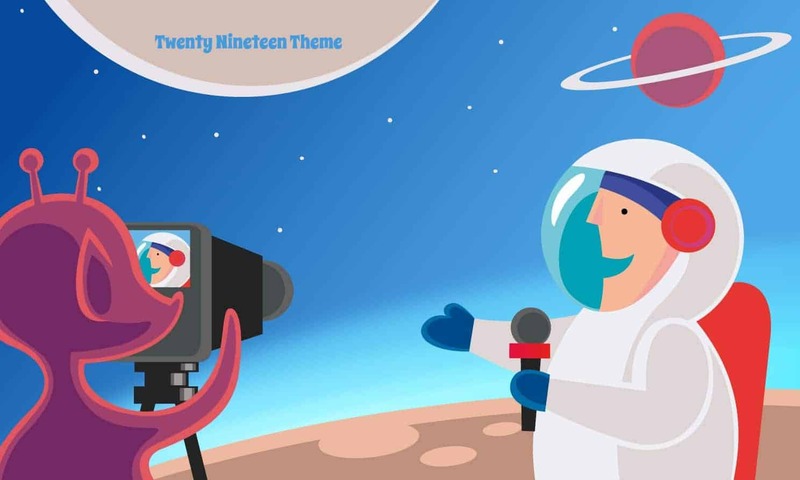 Twenty Nineteen is based on the Gutenberg starter themes and Underscores. SASS is used to keep styles in-sync between the front-end experience and Gutenberg. With these new updates that have a lot of value in it, the WordPress team has proved a great grow and push forward attitude. As the changes they have bought are really well thought out, initiated for correct reasons and obviously adapted in a sensible fashion. And also further it will be eye pleasing to see What WordPress has more in 2k19 along with Gutenberg. You can also share your thoughts about this new update in the comment section below. Also, stay tuned! With Psds2wp to get more updates about the running sensation i.e WordPress 5.0 release. And get all your WordPress related queries solved with the best WordPress Website Outsourcing Company.